Trayvon Martin: Is race the issue? No, I’m not a big fan of hoodies. Yes, I believe Trayvon Martin’s death was sad, regrettable and should not have happened. Yes, I do think society should be concerned about the manner in which he died. No, I don’t think race is the issue. It was as though after criticism of the Kony 2012 campaign went almost as viral as the video of the campaign itself, the world needed a fresh campaign to go crazy about. That campaign was found in the tragedy of Trayvon Martin. Trayvon Martin was shot on February 26, 2012, in Sanford, Florida. Martin was a 17-year-old African-American who was shot and killed by 28-year-old George Zimmerman, a man of Peruvian and white descent. Martin was unarmed, walking from a convenience store to the home of his father’s girlfriend when Zimmerman, a community watch captain, began following Martin and called the Sanford Police Department to say he witnessed suspicious behaviour. Soon afterward, there was a physical altercation which ended when Zimmerman fatally shot Martin. The circumstances surrounding Martin’s death have received national and international attention. President Obama pledged a full investigation into the death of Martin and offered his condolences to the Martin family. Hoodies have since taken on a national significance in the United States, as Martin was killed while wearing one. Donning a hoodie is currently seen as a sign of protest, and many cities across America staged “million hoodie marches” or “hundred hoodie marches” against the suggestion that he was killed because he was black and that the police have failed to perform their role because they have declined to charge Zimmerman for manslaughter. The criticism that the killing was racially-motivated is yet to be properly substantiated. Crucially, however, if the victim of the shooting had been a hooded white teen or a hooded hispanic teen, would it be any less atrocious? The answer ought to be no. Why? Because the killing of any 17-year old in such a disproportionate manner is unacceptable. Obama has accentuated the racial undertones of the killing, perhaps unduly, when he asserted that, if he had a son, he’d look like Trayvon Martin. Various critics have pointed out that if the President had a son, he wouldn’t look anything like Trayvon Martin. He’d be wearing a blazer from his prep school, he’d be driving a Beemer and he’d be surrounded by Secret Service. So the president’s suggestion that he can only feel for this kid because he looks physically like him is patently flawed. What about the united view that everybody appreciates what it is to lose a son of any colour? – not to mention the common adage that not all black people look the same. The real enemy in this tragedy is not race. A teen of any race, social standing or persuasion may wear a hoodie. A man of any colour can view a hooded teen as suspicious. The problem lies in the law that enables a man who forms a suspicion that a person is a danger to him to take the law into his own hands and kill that person. Whether the victim is a hooded black teen or otherwise is immaterial. What society should focus on is the “stand your ground” law which is part of the law of the state of Florida. This law states that a person may use deadly force in self-defence when there is reasonable belief of a threat, without an obligation to retreat first. Under this principle, a person is justified in using deadly force in certain situations and the “stand your ground” law would be a defence or to criminal charges and a civil suit. Florida’s law in this regard makes it very difficult to prosecute cases against people who shoot others and then claim self-defence. The shooter can argue he felt threatened, and in most cases, the only witness who could have argued otherwise is the victim who was shot and killed. The prosecution of Zimmerman under such legislation is not what the campaign should be about. There is a large chance he would go free. The “stand your ground” law doesn’t apply only to black victims. Trayvon Martin was not unique in his fate. Race is not the problem; the law is. To campaign only for Trayvon Martin is to obfuscate issues and run away from the true problem we ought to be campaigning against. A balance must be struck between the law of self-defence and the sanctity of human life. Laws which support killing in self-defence must factor in proportionality. 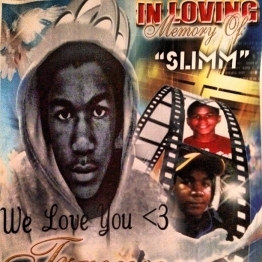 Trayvon Martin lies in all of us – not just the illusory son of a black President. Before Trayvon Martin was black, he was human. No person, black hooded teen or otherwise, should be allowed to die in this way with the sanction of the law. Yep Yep, Cool post. Totally agree with the main thrust of this. Though I think people have good reason to claim that the killing was (at least partly) racially motivated, particularly when we listen to the 911 call – which is made more troubling by the way the local cops handled the case. I think you’re totally right about the importance of challenging the “stand your ground” law itself (ie not just prosecuting Zimmerman under current legislation), and how that has been overshadowed by the framiing of the issue. But what the case reminds us about racial inequality is also just as important, and would be a mistake to take the opposite position and dismiss the racial dimension so as to draw attention to the stand your ground law. I suppose what I have difficulty with is the suggestion that every crime where the victim is black is a racial issue. Surely that cannot be right? It is said that the allegations of a racial slur are yet to be confirmed. No-one has said what racist comment was made in the 911 call. To be fair, I am not American and all I know of the situation is what I have read. Maybe there is more to the dynamic than meets the eye, but this cannot be assumed without substantive evidence of the same. i’m sorry fadzi, i have to disagree with you on this one. i agree the stand your ground law has been misapplied in this case. even the original creator of the bill has said himself that the law does not empower citizens to pursue people. there is tricky lines in this case can it ever be self defense when he PURSUED trayvon even after been instructed not to by the 911 operator? Can self-defense be claimed when someone instigated the fight in the first place? Can self defense switch sides , that is, initially self defense is by trayvon who is walking minding his own business when a stranger walks up to him with a weapon and then during a struggle if zimmerman began to lose can self defense then transfer to him if he now felt that his life was in danger? it is a tricky case this one, with interesting ways to look at the whole concept of self defense. However, the root of this case is not the shooting itself, although that is a tragedy. Even if trayvon had survived this issue would still resonate with me because it is the fact that trayvon looked suspicious to him. The truth of the matter is that trayvon would NOT have looked suspicious to zimmerman if he were not black. It doesn’t even matter what race zimmerman is because even I am racist to blacks all the time and i am full blooded black. Even as black people we all have this internalised suspicion of black males, from news media, from crime statistics from whatever background of society but it still doesn’t make it okay. All the terrorists in 911 were middle eastern but it still doesnt justify profiling them. This prejudice and NOT the florida state law is why trayvon was followed and attacked by a vigilante. As racist as I have found society in Asia since moving here my only saving grace has been that i am not Nigerian, nobody will rent an apartment to you even if they find out you are. Yes, many of the email scam artists hail from Nigeria but most Nigerians are just simple folk trying to get on the business of life and the GLOBAL discrimination instilled in all our psyche makes being Nigerian pretty sucky in this world no matter your education, crime record or lack thereof. It is this same mentality that pervades the american psyche about black males, and it IS about race. It is not intrinsically about race, 100 years ago the same could have been said about irish immigrant kids, or italian immigrants kids who were “suspicious” to the american natives but through various historical , political m economic factors the black and latino males are It this time and it’s about race. I liked an article i read the other day that admits that all races in america have problems there are unemployed white, hispanics, etc this isn’t a competition for which group has the most problems in america but i contend that unlike other groups who HAVE problems black males ARE a problem as far back as slavery days. I do not like to highjack the tragedy of a family, the Martin family should bury their son in peace but it’s not even about the death of trayvon it’s about all of us asking ourselves why we hold our bags a little closer when a black male passes vs a white male? that is what this campaign is about and so i fully support it. even us black people do it! that is the issue people are campaigning about. I can’t imagine how scared trayvon’s case would make me if i had a son. All our sons start of sweet and adorable and around age 13 , a lot of black males get into the hiphop style but it’s just clothing , it’s just music and not all of them are thugs but suddenly your sweet son morphs into someone that can be perceived as threatening to loonies with a god complex or even as something threatening to others in their own neighbourhoods just because they wear their pants low. I for one, love rap music. I love hiphop , if i didnt have a job that required me to dress a certain way best believe i would be in my full hiphop clear but i remain the intelligent, gentle, aintogonnastealyourdamnpurse girl i have always been. I’m not American either, but i spent 8 years studying and living there: 1) even wealthy black prep school kids wear hoodies… it’s a cultural icon. 2) it’s true there are some dynamics you may not be aware of: a black man in a hoodie especially at night is “suspicious” in America, esp if its not in the projects or ghetto. That’s just the way it is. so that this kids was shot like this arouses a sense of familiarity and anger across America. I mean i was never shot at thank God, but i was pulled over countless times, the one time two officers asked me if i was arrested, that was their first question! I told them i was a college student, and asked them if they would ask that off a white male, and they went very uneasy. One time i got of the late train and i was walking to campus in my brown hoodie, it was cold, and on two accasions, white girls who were walking in front of me kept checking back on me, before frantically running to the other side of the road. Two white girls, i bit my tongue and didn’t say anything. Racial profiling is real in America….